If you're picking up from the store, submit order as CASH & please pay at time of pick-up. NEW! Stuffed with Kani and topped with sweet sauce and spicy mayo. Spicy salmon or tuna wrapped in avocado. LOW CARB! Tempura fried jalapeno peppers stuffed with spicy kani. Generously topped with sweet sauce and spicy mayo! Tempura fried rice balls stuffed with spicy kani. Generously topped with sweet sauce and spicy mayo! Salmon, Pineapple and Crunch with Salmon and Teriyaki Sauce Outside. Kani and avocado roll generously topped with spicy tuna, tempura crunch, and spicy mayo! Spicy tuna roll topped with pepper tuna and a slice of jalapeno. Slices and Crunch - VERY SPICY! 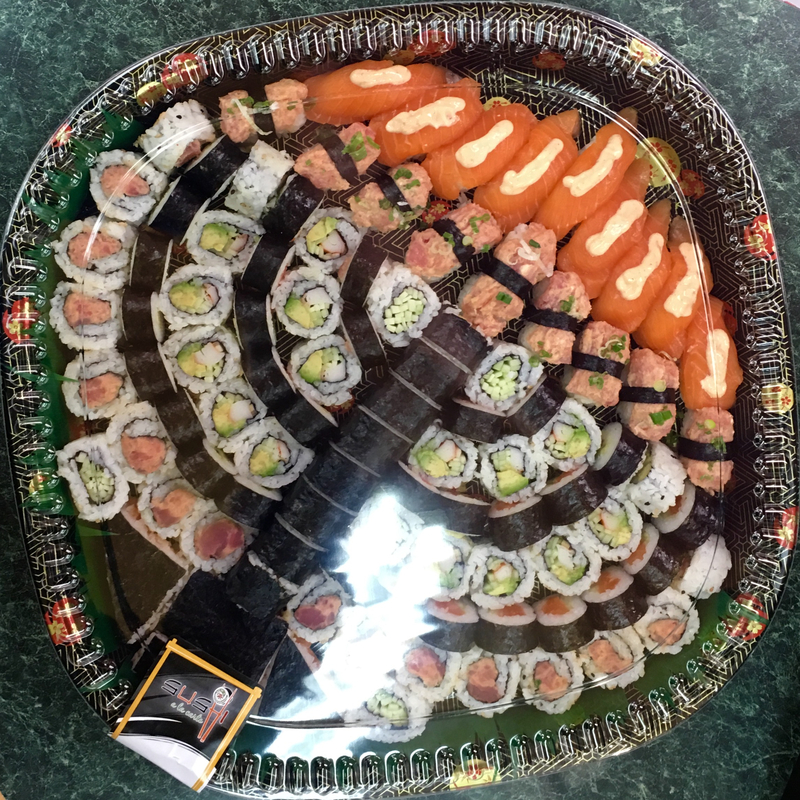 Cucumber, Avocado, Mango, Crunch, Caviar Inside, Outside, Upside Down, and All Around—Large Roll! A delicious combo of tuna and salmon on the inside topped with a generous portion of spicy tuna. Spicy salmon on the inside with jalapeno and tempura crunch on the outside. Raw salmon on the inside. 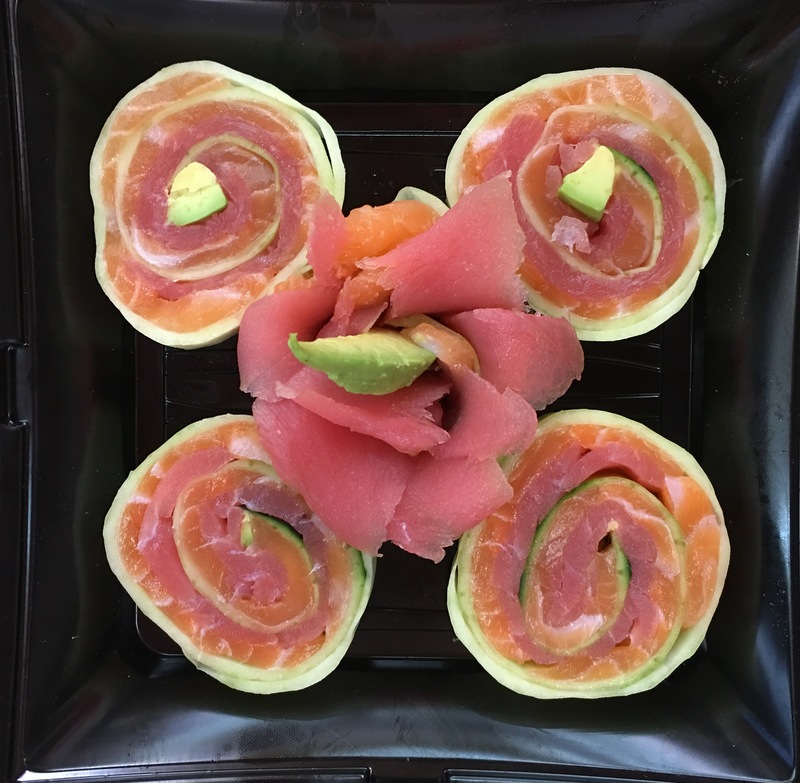 A colorful and delicious roll to add a little extra joy to your table. Delicious food art for your simcha table! Spicy Kani, Topped with Crunch Asian Dressing on the side. Shredded spicy kani mixed with cucumber and sesame seeds. 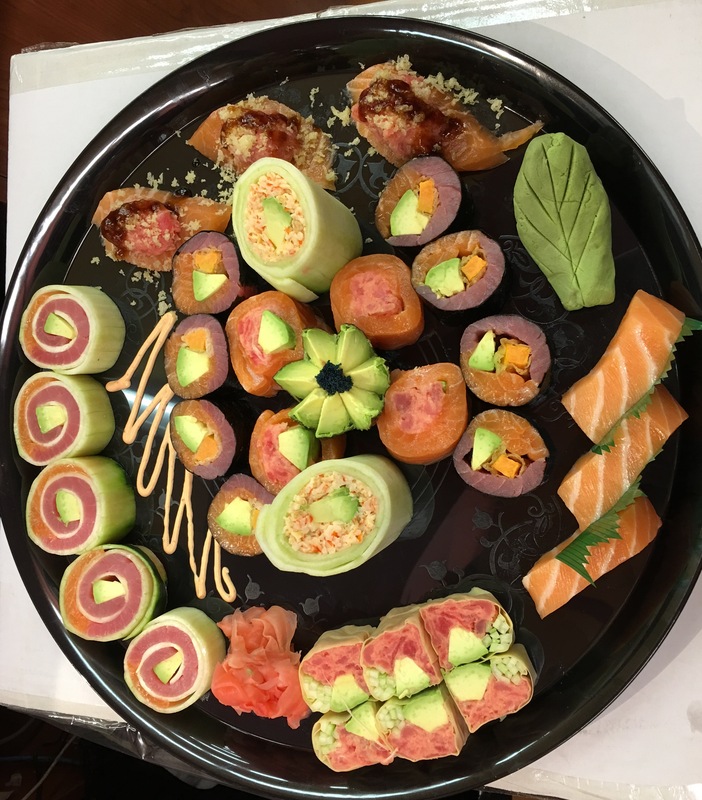 A delicious assortment of delicious Sushi to celebrate the holiday! Special Platter for Shalosh Seudos! Four vegetable rolls, five regular fish rolls, and one fancy roll. A mix of 7 different and exciting cooked Sushi Rolls! A filling combination of three pieces of salmon sushi and a salmon avocado roll. Three pieces of tuna sushi and a tuna avocado roll. Salmon, tuna, and yellowtail sushi (1 piece each) and a California roll. Mango, Cucumbers, Avocado, Cashew and Cooked Salmon inside. With avocado on top. Let our creative and talented chefs make something unique for your table! Under Strict Rabbinical Supervision of Rabbi Binyumin Gruber.